Netflix streaming has been good to me. I missed the LOST bandwagon, but once the finale aired, I thought it was time to get on board and see what all the fuss was about. And man, is that show good. I burned through the first season fairly quickly, then took a break, and followed up with a slower viewing of the second season. I’m now on the third season, but took a months-long hiatus after the seventh or eighth episode. A couple weeks back, I decided to return to the island and see what was going on with Sawyer, Jack, “Freckles,” and the others. I watched a couple of episodes, then stopped. Because I noticed Friday Night Lights was now available for streaming, and I decided to sample an episode. And I was hooked. 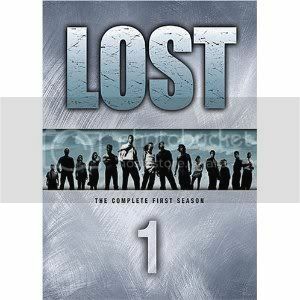 This show easily outshines LOST, in my mind. Which is high praise, because I find LOST to be a compelling and entertaining show. But it’s missing a key ingredient. LOST has a great ensemble cast, and I really appreciate the diversity of the characters. I applaud J.J. Abrams, Damon Lindelof, et al. for providing a “global” view with their cast. And these characters are, for the most part, more than just ciphers. They feel and act like real, complex people. And though they are relatable characters, that empathy with the viewers is more in the abstract, I think, than in the reality of the viewerships’ experiences, which isn’t a bad thing, because the over-arching mystery is the glue that holds the series together. The mystery is the focal point, and the characters are the pawns used to get across that “truth” of the show. On the other hand, Friday Night Lights is a television show ostensibly about football. And yet the football – whether practice or games – is rarely evident within any given episode. The football is the foundation of the series, but it is not the focal point. In Friday Night Lights, as well, there is a diverse (though not as global due to the nature of the setting) and believable cast of characters. These people are people we viewers know and have interacted with most of our lives. The relationship between Coach Taylor and his wife is refreshingly frank and true and nuanced in a manner not often seen on television – two people committed to each other, who love one another, but who also argue in the course of their relationship while still being supportive. And the relationships between the teenagers, as well as the other parents, is all very well handled and takes me back to the trying times of high school when the fate of one’s future depended upon whether one wore the right brand-name to school. Friday Night Lights is an engrossing, entertaining, and thought-provoking show that has eclipsed LOST – for now – in my viewing queue. And I think the reason for that is because they put the characters first while LOST, as a consequence of the type of show it is, puts the mystery first. They’re both extremely well done, enjoyable shows. But the fact that the human element is elevated ever so slightly in Friday Night Lights means I’ll be putting that at the top of my queue until I reach the end.